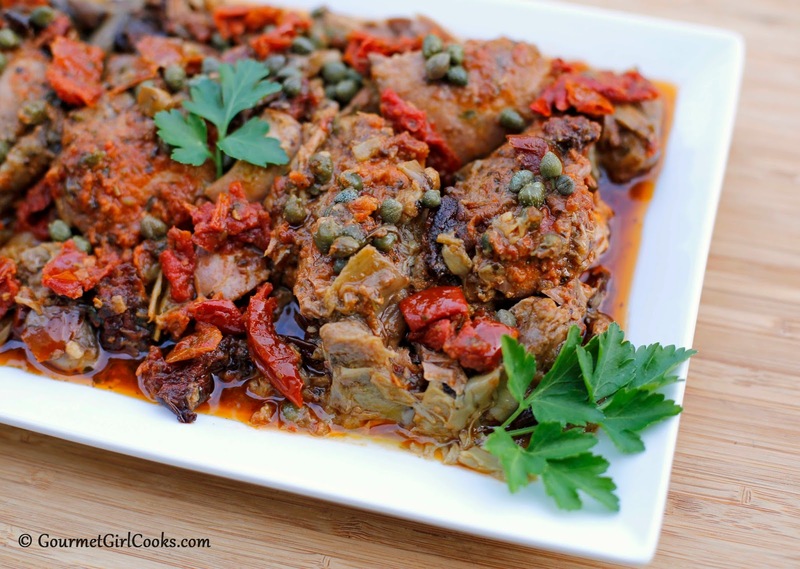 This evening we had Slow Cooker Mediterranean Chicken for dinner. It was so simple to make. I actually placed it in my crock pot last night and cooked it overnight and then allowed it to cool off and popped it in the fridge before going to work this morning. I simply reheated it for dinner this evening. The chicken was melt in your mouth tender. I used boneless skinless thighs but you could substitute boneless breasts if you prefer. You could also use bone-in chicken pieces. There are only 5 ingredients in this quick and easy meal. It is tender, moist and flavorful. It would be great served over zoodles but is also good served as is in shallow bowls topped with a bit of grated cheese and fresh parsley. I find the sun-dried tomato pesto in my local grocery store. I really liked Mezzetta's, but there are other good brands, too. 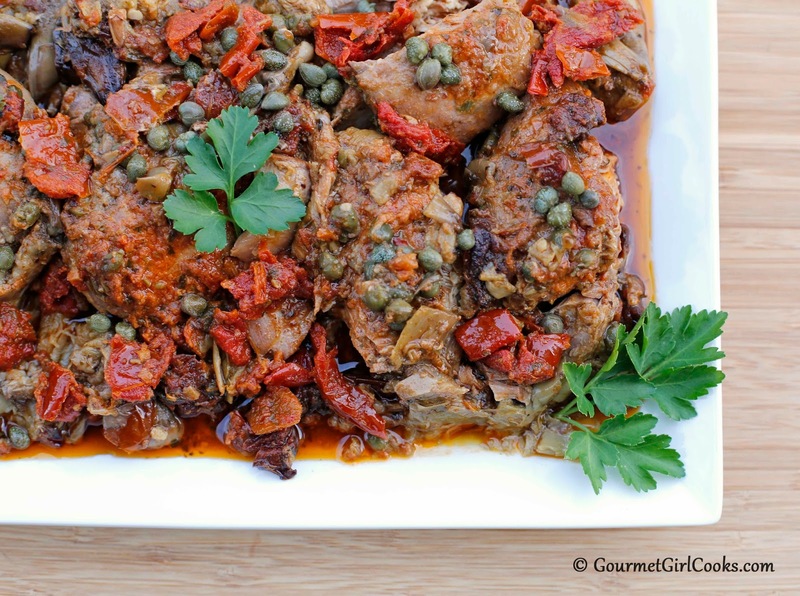 I use oven roasted tomatoes packed in oil that I find at Costco; I like using those instead of canned tomatoes because they don't make the dish so juicy and are more concentrated in flavor. You could easily substitute sun-dried tomatoes packed in oil instead if preferred, but I'd reduce the amount by about half since they are more intense in flavor. I snapped a few photos below as well as included the easy peasy recipe. Enjoy! Place chicken in bottom of a 5 to 6 quart crock pot. Spoon and spread pesto over top of chicken. 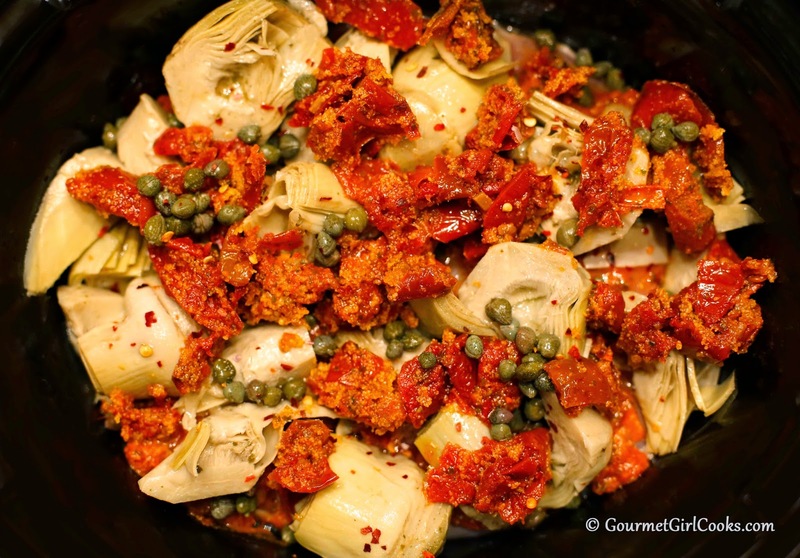 Add capers, artichoke hearts and tomatoes. Season with red pepper flakes. Cover and cook on low for 8 hours. This was outstanding! Made it for company and all the guys had seconds. Very easy to make as well. Going in the rotation for sure. Thank you! 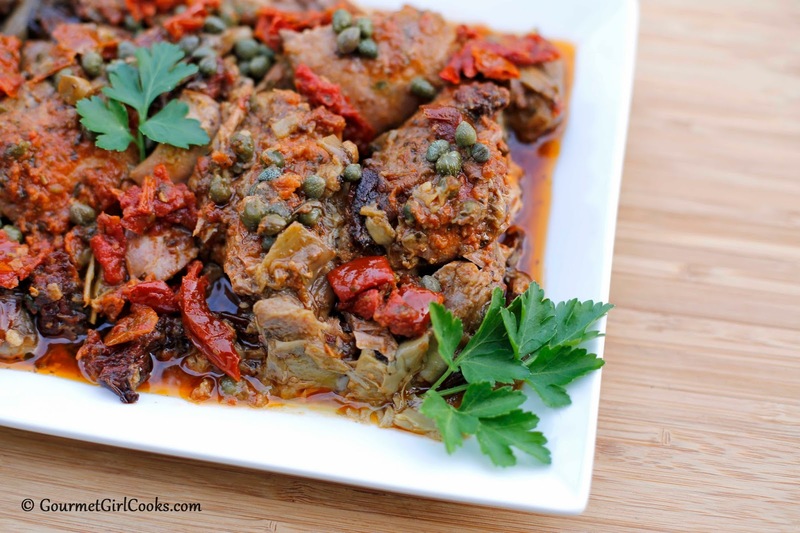 Are the capers important for the flavor? Any idea of a substitution? 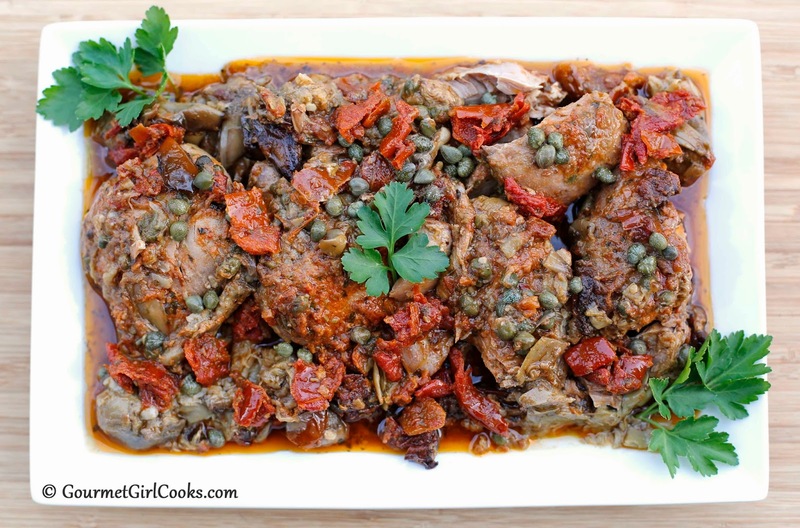 I decided to use the capers but I only went with 2 tablespoons. The dish was delicious. I avoided eating some but not all the capers. Thanks for your advice!